9:30 at 15th and Constitution. Get after it. 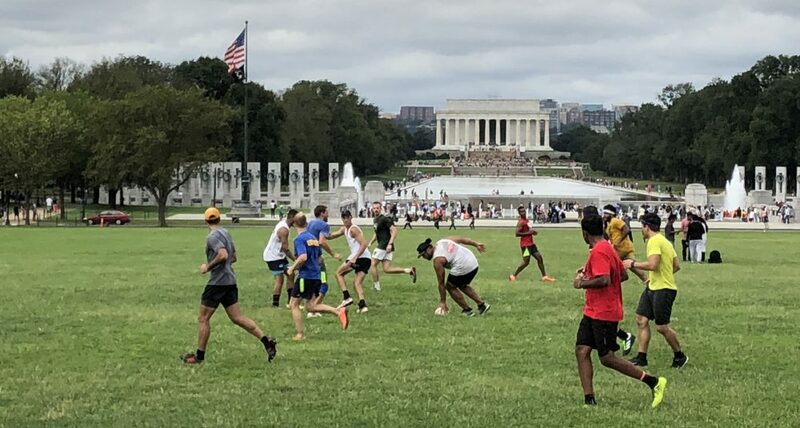 Hello Can you please add me to the Friday AM touch rugby game list? Thank you very much.